Our Festive Delight crate is a fabulous gift to send this Christmas. 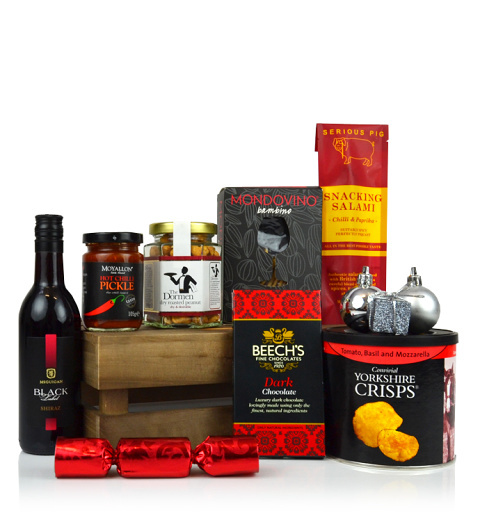 With a delicious bottle of Black label red wine, Belgian chocolates, Yorkshire Crisps, nuts, pickle, crackers with scrumptious snacking salami - this is a gift that will be sure to delight! The Festive Delight crate is available for UK delivery.